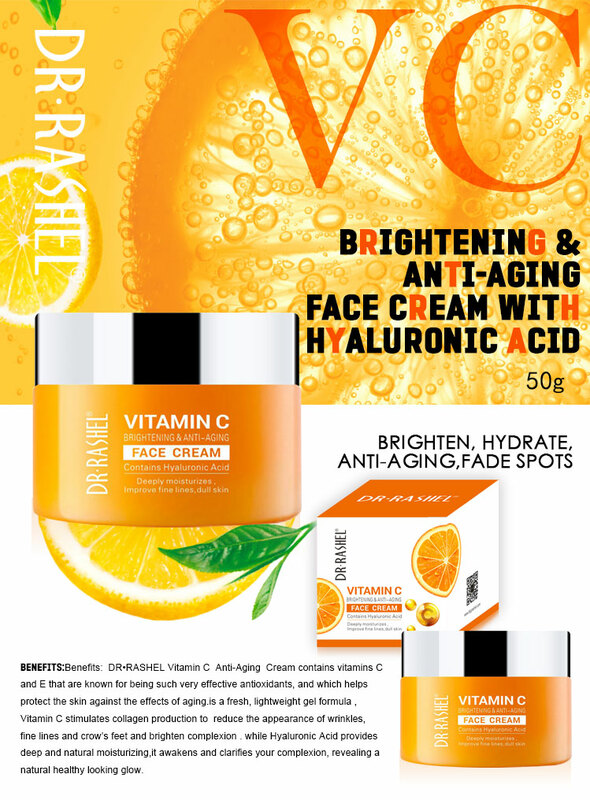 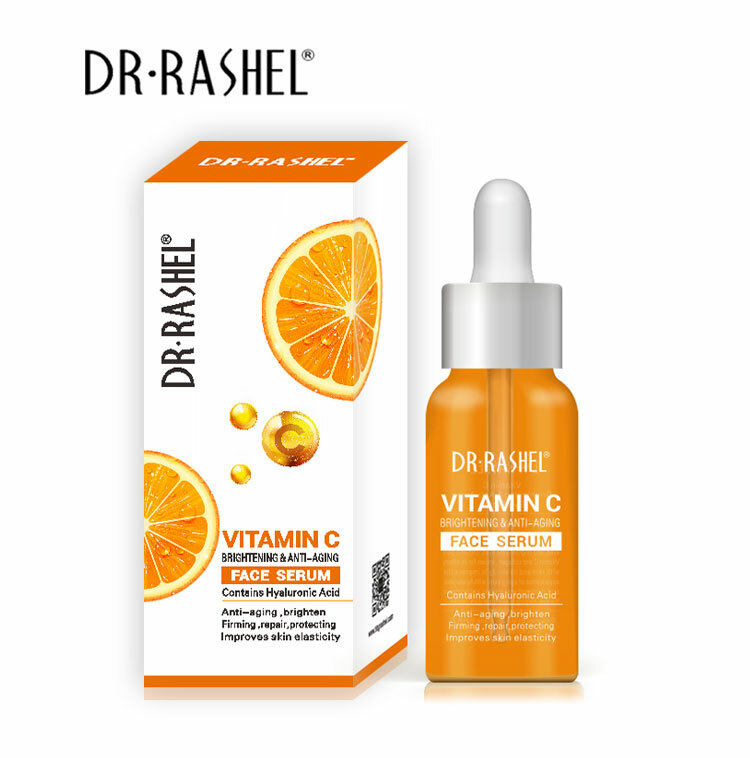 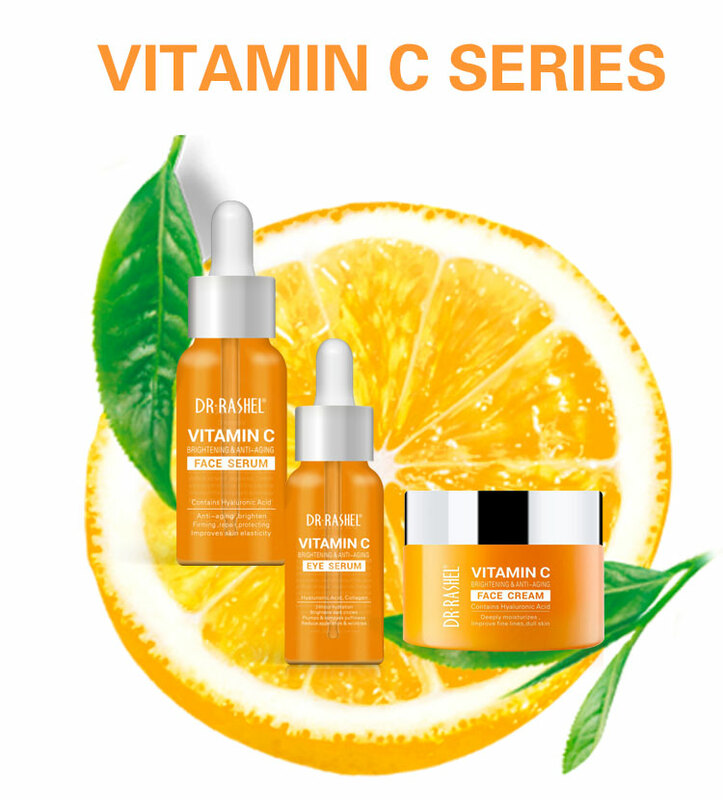 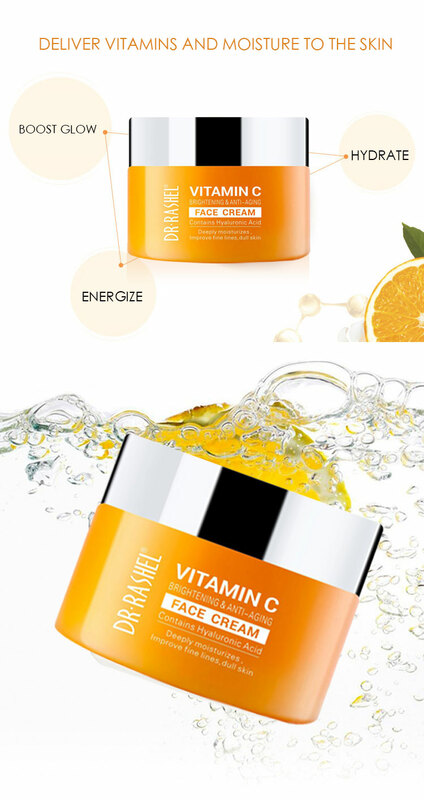 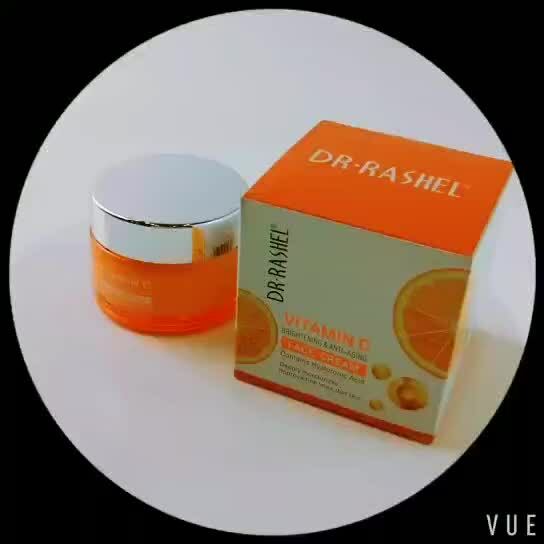 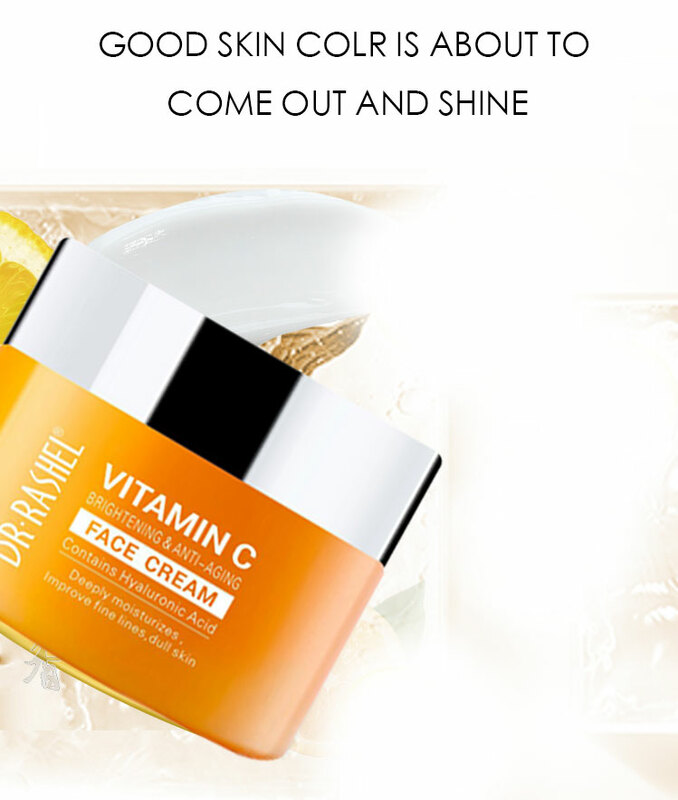 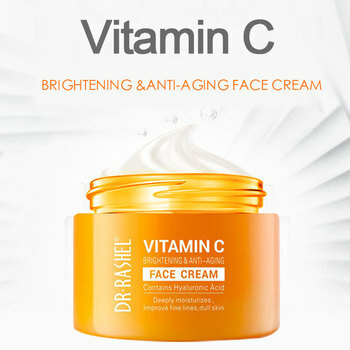 DR·RASHEL Vitamin C face cream contains vitamins C and E that are known for being such very effective antioxidants, and which helps protect the skin against the effects of aging. 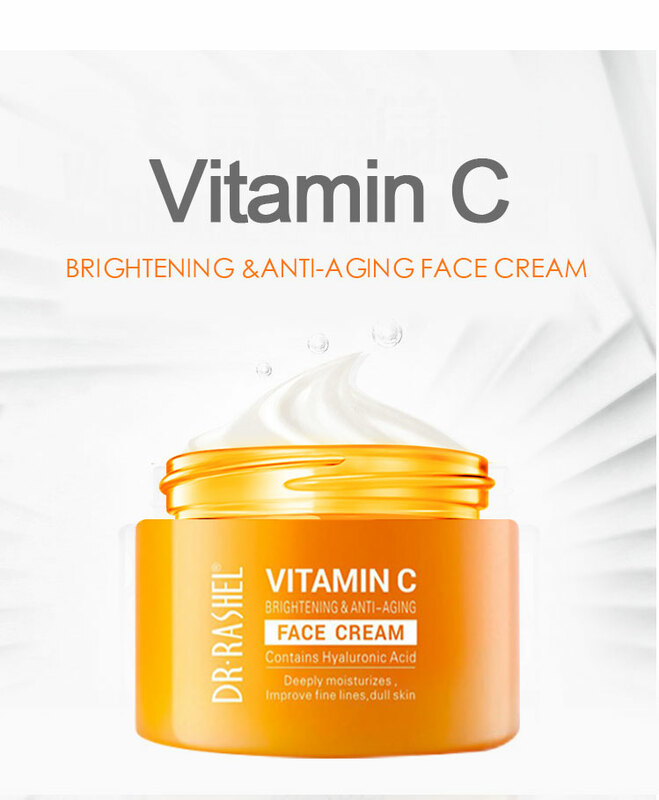 is a fresh, lightweight gel formula ,Vitamin C stimulates collagen production to reduce the appearance of wrinkles, fine lines and crow’s feet and brighten complexion . 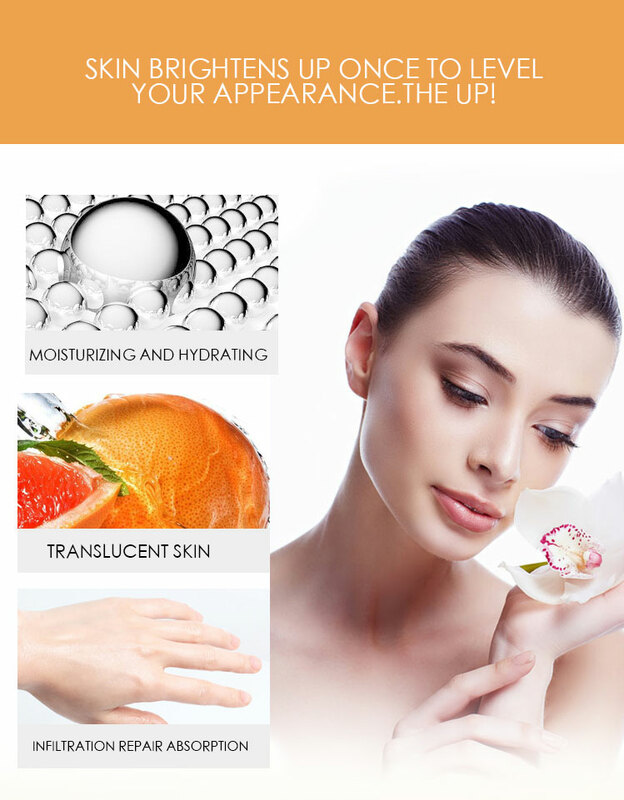 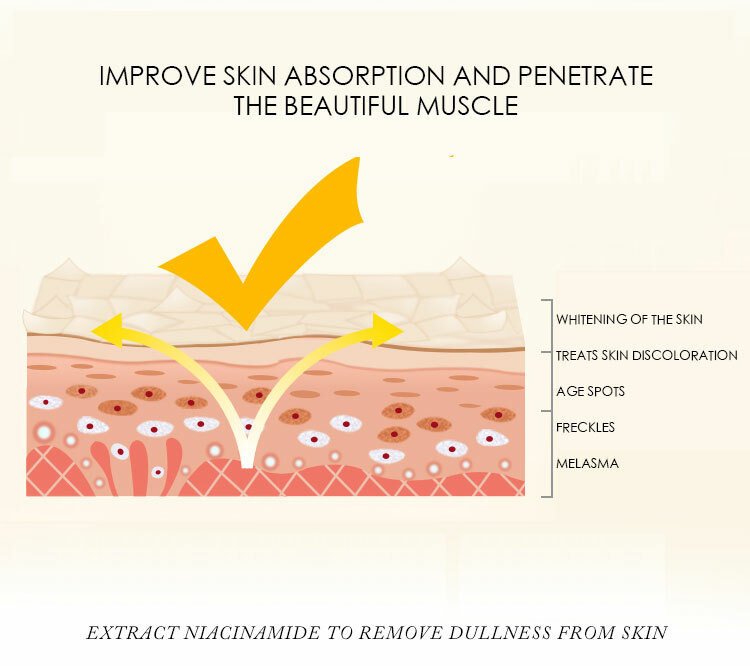 while Hyaluronic Acid provides deep and natural moisturizing, it awakens and clarifies your complexion, revealing a natural healthy looking glow. 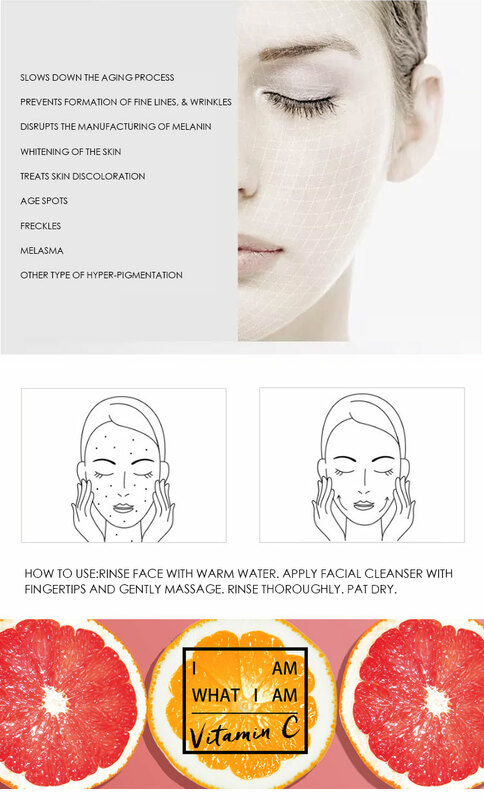 After cleansing and toning, apply a small amount of massage to the face and neck until fully absorbed.